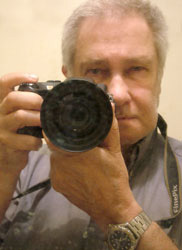 Ron Bannister has over 40 years experience in film and television production. He began working in film in the sixties at Peach Wemyss Astor, a major New Zealand film and recording studio. His work involved mainly documentaries and TV and cinema commercials. He was employed as a film editor and sound editor as well as working with the camera crew and doing lighting. His work also involved animation and special effects. At the same time Ron was also working part time on his own dramatic or theatrical movies and entering them in competitions and film festivals. In 1970 Ron Bannister and Noel Bierre decided to run a Film School. They invited Tom Hutchens of Auckland University and members of the Auckland Cine League to form a Film School committee. 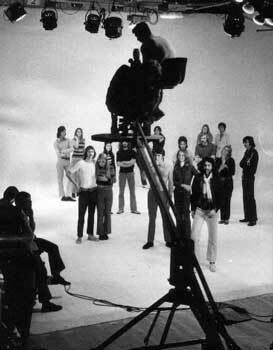 The 1970-1971 Auckland Film school opened in October at Auckland University. It was held every month on a Saturday and ran for a year. The lecturers were all professionals from the film and TV industry. In 1971 Ron was awarded "New Zealand's Best 8mm Film" and one of the worlds "Ten Best" in the Christchurch International Film Festival for his film "Where it's all Happening". Ron's video production "Songs of Africa" was judged one of "Five Best" in the 1994 FAMC National Video Competition. 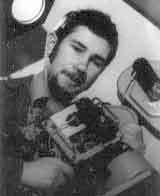 In the seventies Ron worked for Inspirational Video, pioneering multi-camera location recording and editing with u-matic video recorders. He was among the very first wedding videographers when VHS was introduced. 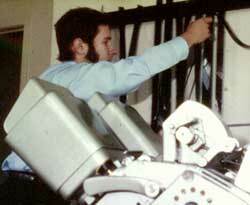 In the early eighties He was Technical Director and in house producer for Covenant Recordings multi-camera studio. 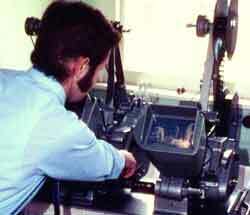 In the late eighties Ron set up his own video production house specialising in non-broadcast video. He taught Television Production for the Covenant Training Centre and has also taught video production as part of Media Studies at both Hebron College and Christian Heritage College. Now retired but still working in video making his own movies. Ron has embraced the latest technologies of Digital Non Linear Editing, High Definition video and Computer Graphics. He also has a small Audio Recording Studio. He has also at various times worked in electronics and photography..
Ron is a Life Member and past President of Auckland MovieMakers. He has won a number of awards in Auckland MovieMakers competitions. He lectures and gives demonstrations from time to time at Auckland Moviemakers. Ron's movie "The Long Drive Home" won the award for best Drama at the 2011 Auckland MovieMakers Annual Awards. Ron's desire is to share what he has learned over the years with others so that they may build on it and get more enjoyment from making better movies.